Zindagi Na Milegi Dobara has been a keenly anticipated by the audience because of its dream starcast (comprising Hrithik Roshan, Abhay Deol, Farhan Akhtar & Katrina Kaif), a banner which has rarely disappointed, amazing promotion and the fresh feel good look of the film. Initial reports suggest that the film has been really liked by the audience and lives upto the expectations. Audience Feedback also suggests that its not a typical entertainer which one sees and forget instead it remains with you even after you have seen it. They have loved the film for some really amazing moments, performances, stunning visuals, adventure sports and the overall feel-good factor. Most people who have seen it feel that its worth a watch and will not mind seeing it again. However since its not a typical mainstream entertainer so there have been people who did not find it engaging enough. The film may not appeal that much to the interiors audience but is likely to work in a big way in metros and big cities. This one's more for spectators with refined tastes and sensibilities. Watch the flick for some light moments full of fun and laughter. Lovely. A bromance that has more style and heat than most rubish romcoms. Zindagi Na Milegi Dobara? It's a film you will want to watch dobara. 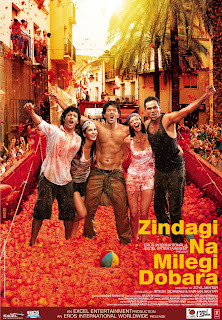 go catch ZNMD for good performances, music, Spain and of course, Farhan Akhtar in his element. The film isn't as simplistic as it seems and each character has a back story and internal conflicts that surface intermittently between thrill-seeking stunts, sugary love, drunk talking and some seriously childish pranks. ZNMD is TLC meets Robin Sharma against the biutiful backdrop of Spain. It was designed to make you feel good and it achieves that. It proves that Zoya Akhtar has a unique, compelling voice and unlike many of her contemporaries, she actually respects that a cinema audience can be both intelligent and mature. What you take home are memorable, amusing moments of three truly adventurous amigos we've all grown up with. And will continue to. 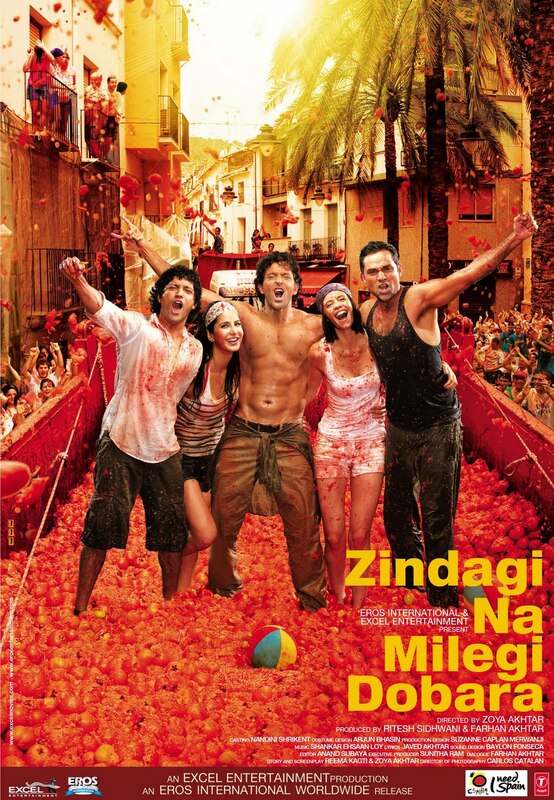 No, ZNMD is not flawless, but it does gently dwell on some of life’s lessons and I had a good time watching it.